What does the merger say for BoB, Dena and Vijaya Bank on technical chart? The country is set to get its second largest public sector bank, as Dena Bank and Vijaya Bank merger with Bank of Baroda comes into effect on Monday. The new entity will have business of Rs 15 trillion. At the start, it will have a wider geographical reach with 9,500-plus branches, 13,400+ ATMs, 85,000+ employees. It will serve over 120 million customers and have deposits (Rs 8.75 trillion) and advances of (Rs 6.25 trillion). All branches of Vijaya Bank and Dena Bank will function as branches of Bank of Baroda from April 1, 2019. Customers, including depositors of Vijaya Bank and Dena Bank, will be treated as customers of Bank of Baroda from April 1, the Reserve Bank of India (RBI) said. The Centre had sanctioned the amalgamation of Vijaya Bank and Dena Bank with Bank of Baroda with a scheme published in Gazette dated January 2, 2019. BoB in a statement said it planned to build upon the strengths of the three banks and it would look to scale up operations and widen its customer base. The complementary branch presence will add to the network in western and southern states — Maharashtra, Gujarat, Kerala, Tamil Nadu, Karnataka and Andhra Pradesh. The bank will have a 22 per cent market share in Gujarat and 8-10 per cent market share in Maharashtra, Karnataka, Rajasthan and Uttar Pradesh. 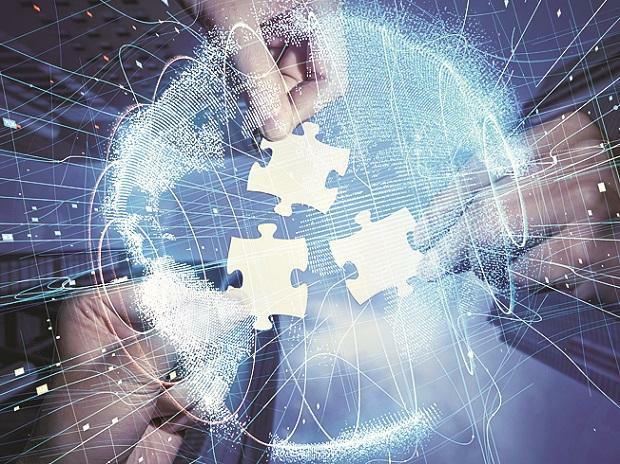 The interoperability of the key banking services across all branches would be introduced by the end of April and its scope will be expanded gradually, officials said. The IT integration is expected to be completed over 12-18 months. The consolidation offers cost and revenue synergies. The branch and administrative office rationalisation and tech spend optimisation offer potential cost synergies. An action plan for realisation of these synergies is being put in place, BoB added.